Seeking to ensure that downtown sidewalks are clear for pedestrians, officials said last week that a Planning & Zoning officer could be assigned to enforce local rules. Under the Town Code, items such as benches, tables, chairs, signs or commercial displays cannot obstruct sight lines or pedestrian passage on sidewalks. Though the town allows for “certain things that are considered good,” merchants sometimes take advantage by going too far, according to Public Works Director Tiger Mann. “It’s nice to have bench and put a table out there, but four chairs around it as a display case in front of the building, it’s a little too much,” Mann said during a Jan. 29 meeting of a Planning & Zoning Commission subcommittee. Yet there’s a problem of enforcement, since Public Works has no “teeth” in seeking to keep the sidewalks clear, Mann said. He spoke during a meeting of the Commission’s subcommittee in charge of implementing New Canaan’s Plan of Conservation and Development, a guiding document. “Their job is to take care of things,” she said. However, the assistant zoning inspector from P&Z could take on that role if Mann puts something down in writing saying the he was comfortable shifting the responsibility elsewhere, she said. Town Planning Lynn Brooks Avni agreed to draft a document to that end. Zoning enforcement inspectors already are responsible for ensuring that rules regarding downtown businesses’ use of the areas outside their storefronts comply with local regulations. For example, no sign in any retail or business zone “shall be located forward of the building or setback line,” under the Zoning Regulations (see page 134). 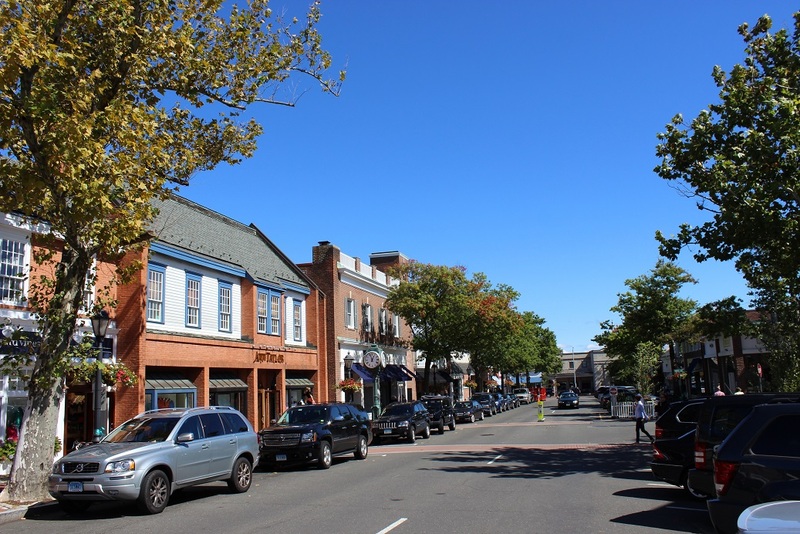 Grzelecki said New Canaan should ensure its sidewalks are clear to avoid liability problems. Good Lord!! All these restrictions are killing the town. First the parking now this.